a leading light once again”. Rainer Hundsdörfer has been the new CEO of Heidelberger Druckmaschinen AG since November 2016. Since taking up his post, he’s been unrelenting in his efforts – driving forward digitization, seeking out new approaches to boosting competitiveness and personally sounding out the workforce. 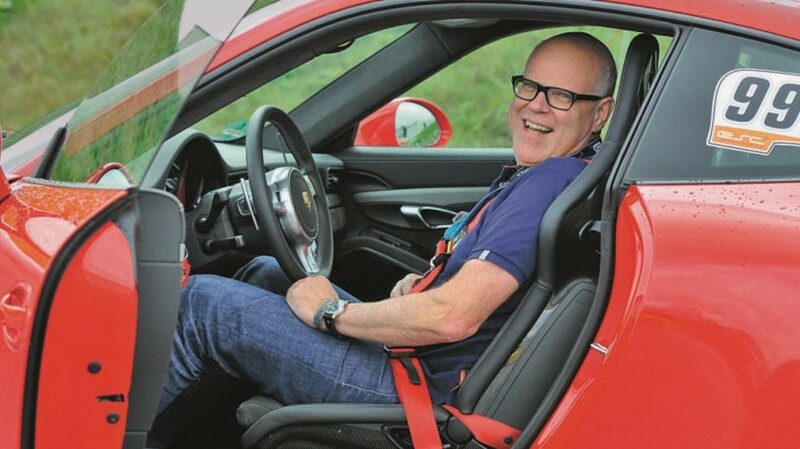 He is driven by his belief in the performance of an idol – and fast cars such as the Porsche GT3 RS. Mr. Hundsdörfer, you enjoy motorcycling, and in your free time you occasionally go to the Nürburgring race track. You recently also became CEO of Heidelberg. Do you like risks? (Laughing) I’ve worked in mechanical engineering all my life, so I don’t regard the new challenge I’ve taken on at Heidelberg as a risk. Heidelberg was for many years a leading light in this industry, drawing everyone’s attention. So I consider it my personal responsibility to set Heidelberg on a path to growth once again. This is a fantastic opportunity, and I believe I can do it. Not only that, but the printing industry fascinates me – I’ve been to almost every drupa since starting my career in 1984. In your previous roles, you gained a reputation for driving forward innovations and new business models. How are you looking to do this at Heidelberg? The Heidelberg brand still has enormous prestige and our customers value us as a strong partner in offset and digital printing. We want to harness this position and use new business models to play a more active role in our customers’ lifecycle business. It’s just as important to further enhance the structures at Heidelberg, become more agile and once again achieve operational excellence across the board. How do you intend to do that? By being the first German mechanical engineering company to make full use of the opportunities opened up by digital technology – to the benefit of both us and our customers. For example, by creating new services and business models that are mutually beneficial. In short, we don’t just make the best presses to meet our customers’ requirements – they also provide us with information we can use to optimize their business. What form does this take exactly? In essence, it involves us cutting complexity in printing operations. Customers should no longer have to worry about certain tasks at all. We’re therefore expanding our traditional functions and services with a digital component, for example machineto- machine communication and interfaces to the Internet of Things. This forms the basis for applications that support autonomous printing and predictive maintenance, for instance. In the future, the press will perform even more tasks independently, such as ordering consumables. The advantage for customers is that they can then concentrate fully on their business and their customers. What added value does digitization offer customers? Welcome to the Smart Print Shop. How would it be if processes ran and controlled themselves intelligently and autonomously? Do you have changes in your address, want to receive the HN or not? Please use this link to complete your data. Write to us to let us know how you like the HN and which topics you are interested in. We look forward to receiving your comments, whether positive or negative.